This is a wonderul primary intergenatic of three species. 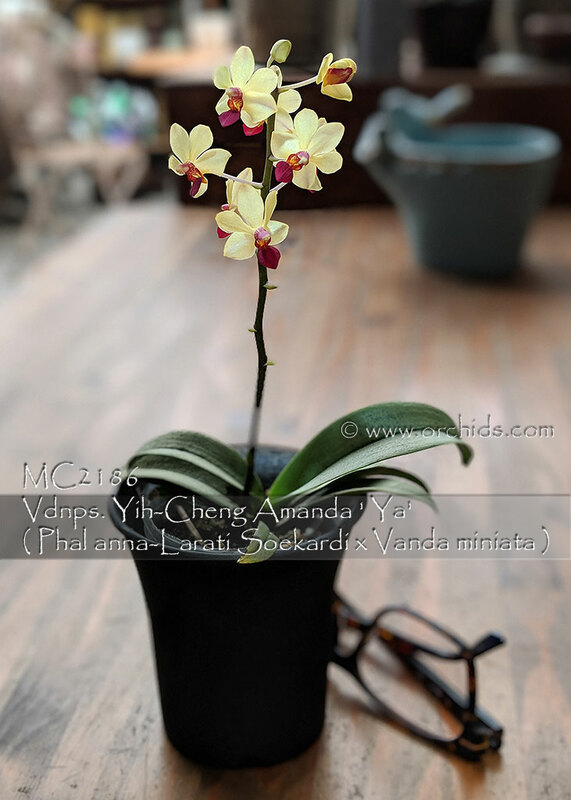 Phal parishii x Phal pulcherrima x Vanda miniata . 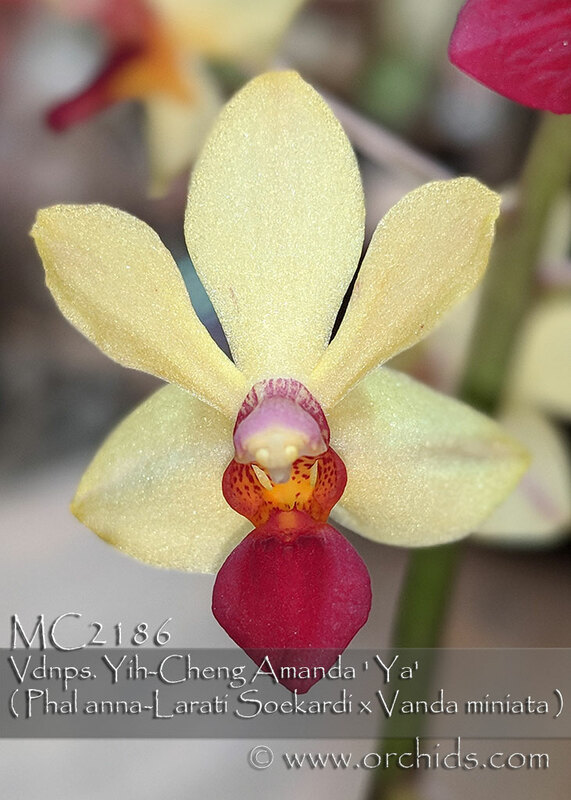 Very free blooming and tolerant of warm weather from its Vanda species parents. Excellent for growing under lights , window still and outdoor at frost free area. 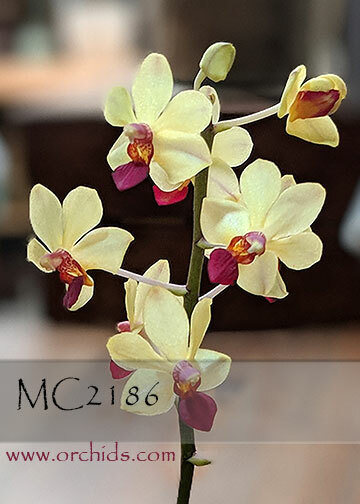 A must for any miniature Orchid collection .